FULTON, NY ÃƒÂ¢Ã¢â€šÂ¬Ã¢â‚¬Å“ Members of the United WayÃƒÂ¢Ã¢â€šÂ¬Ã¢â€žÂ¢s annual Golf Classic Committee are putting the finishing touches on the United Way of Greater Oswego CountyÃƒÂ¢Ã¢â€šÂ¬Ã¢â€žÂ¢s 13th annual Golf Classic. One of the most anticipated and largest golf tournaments in Oswego County, the 2008 United Way Golf Classic promises to be an exciting event that golf enthusiasts will not want to miss. Scheduled for July 11, the United Way Golf Classic will be held at the Greenview Country Club in West Monroe. 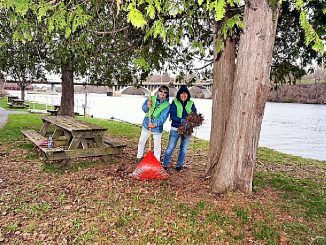 ÃƒÂ¢Ã¢â€šÂ¬Ã…â€œWe have worked with local businesses to put together 10 fantastic prize packages ranging from a $500 Gift Certificate to attractions in the Niagara Falls area to local golf packages, a fishing charter outing courtesy of Port City Bassmasters and more.Ãƒâ€šÃ‚Â With our raffle even those who arenÃƒÂ¢Ã¢â€šÂ¬Ã¢â€žÂ¢t good golfers can still have a chance to win a great prize,ÃƒÂ¢Ã¢â€šÂ¬Ã‚Â said Lois Luber, resource development director with the United Way of Greater Oswego County. Luber added that raffle tickets would be available at the Golf Classic. While spots are filling fast, the United Way is still accepting registrations for teams and individuals interested in playing in the United WayÃƒÂ¢Ã¢â€šÂ¬Ã¢â€žÂ¢s Golf Classic. Registration includes a continental breakfast, a classic golf shirt, golf cart, 18 holes of golf, lunch, beverages on the course, and a steak dinner buffet following the tournament. There will be plenty of giveaways and prizes, with each golfer being eligible for, longest drive and closest to the pin prizes. Interested golfers will also have the opportunity to sign up for the skins contest. Entry fees are only $100 per person or $400 per team. Businesses, or individuals interested in being part of the United Way 2008 Golf Classic can sponsor a hole for only $100.